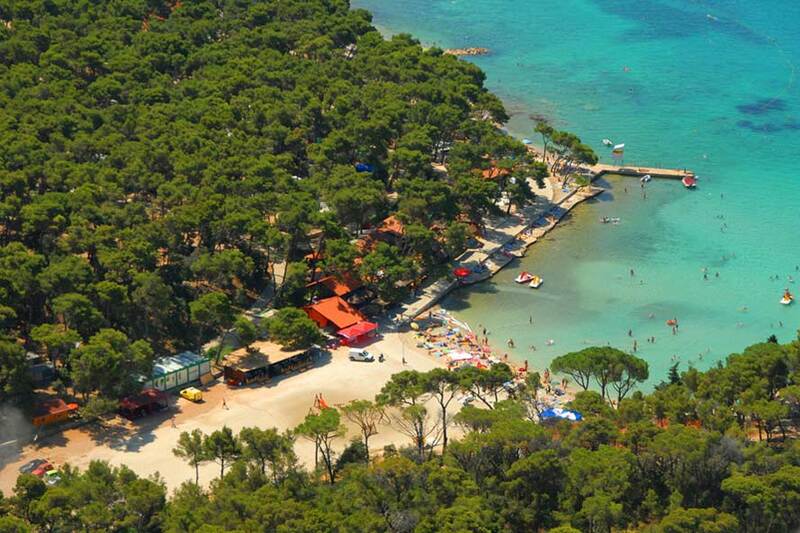 Camp Jasenovo is small camp situated near little dalmatian town of the same name. 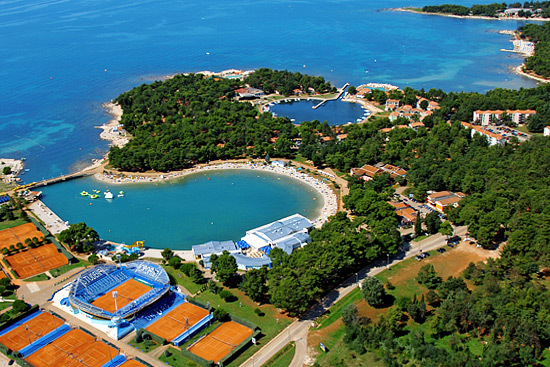 Camp is located near the beach 2 kilometres from town center and 10 kilometers south from Sibenik which is closest bigger city in area. Camp have a view on islands of Sibenik archipelago. On some of them there are organized excursions from camp. 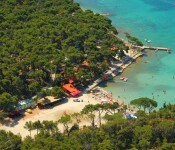 As most of dalmatian camps Jasenovo is also built in dense pine forest and has natural pebble beach. Except islands, and city Sibenik, places worth seeing are National parks Kornati and Krka which are in that area. 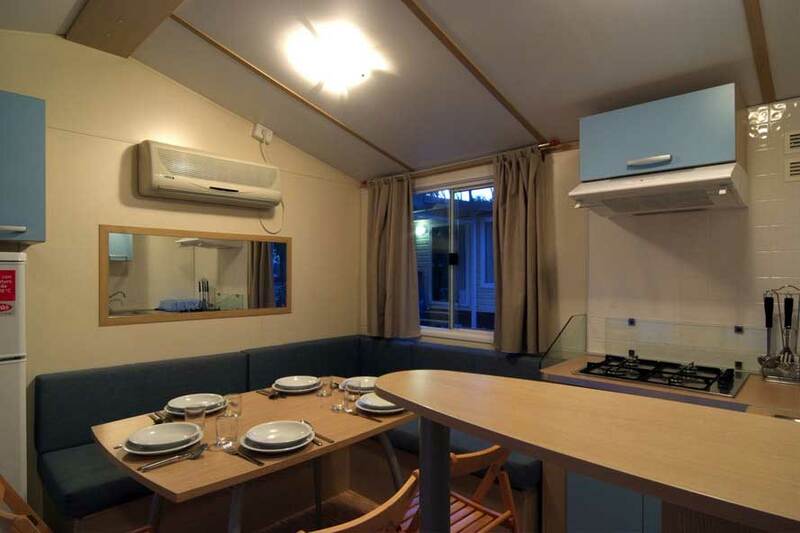 Camp Jasenovo have capacity of 100 guests and it is ideal for quiet family vacation. 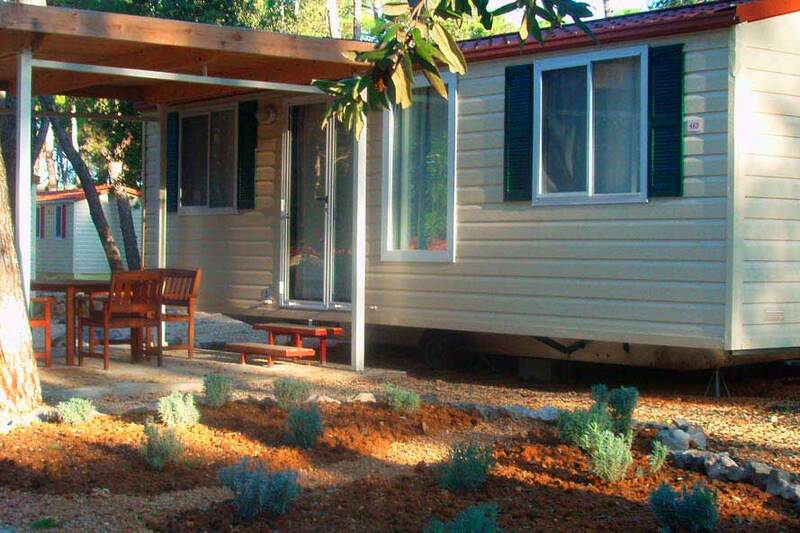 Camp Jasenovo won first prize in Croatian competition of small camp sites in 2010 and second place in 2009. 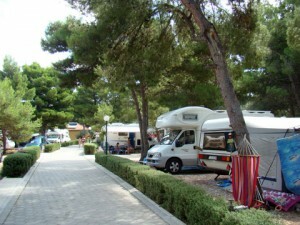 Camping season in camp Jasenovo begins on 1st of May and it last till 1st of October. 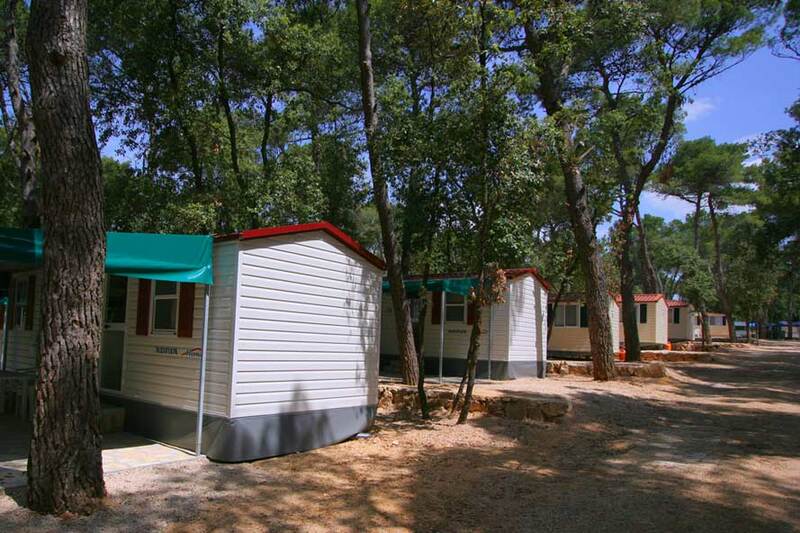 Camp Jasenovo has approximately 50 pitches equipped with electrical connection. 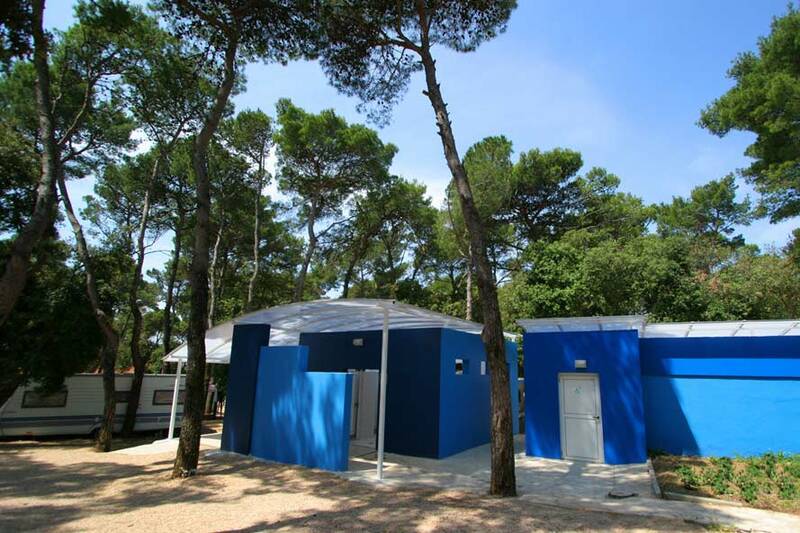 Sanitary facilities in camp Jasenovo are newly renovated and includes men and woman toilet with showers (3 each), dish-washing facilities, laundry facilities with washing machines, area for pet washing and space for emptying chemical toilets. Reception is open whole day and night and staff is very useful and can provide informations about interesting surrounding locations. At the camp beach there is small bar where guests can enjoy coffee or some other drinks, or ice cream. All other facilities as grocery shops, restaurants, mini markets, etc. are located in village Jasenovo 2 kilometers from camp. Whole camp is nicely cultivated and has special playground for kids and basketball court. Camping area of 7000 square meters is surrounded by fence around which is pine forest, so privacy and safety is provided for camp guests. Pets are allowed for a small fee, and also a place for mooring boats if you bring one.